MESH Crop Sweater and Tee-Shirt in one. Knit sweater and Camo or plain tee-shirt with Leather details. Retro classy MESH dotted Skirts with leather belt. Under sweaters with a nice Lace addon on the front. Sculpted turtleneck collar and cuffs. 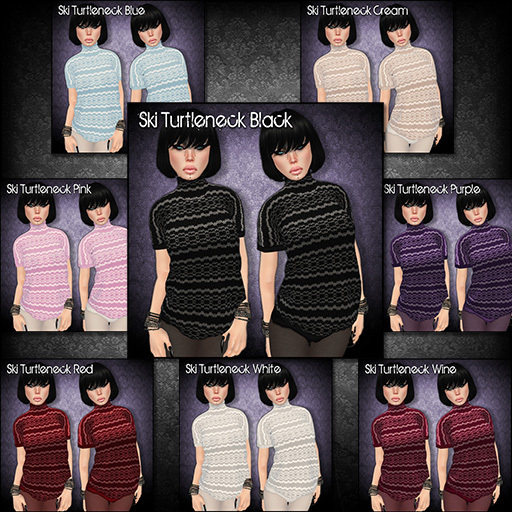 Soft & warm knitted MESH short sleeves sweaters. From the past With Love Hunt outfit, more colors for this Cotton & Lace Shirt, with sculpted Collar and Cuffs. From the past With Love Hunt outfit, more colors for this MESH Cotton & Lace Mini Skirt. I will start to make full outfits, with all new items or something old/something new, at a special price of 220L$. The VIP members will get 30% of credit on those outfits. Since these are the firsts ones, they will be sent as gifts in the VIP group ! 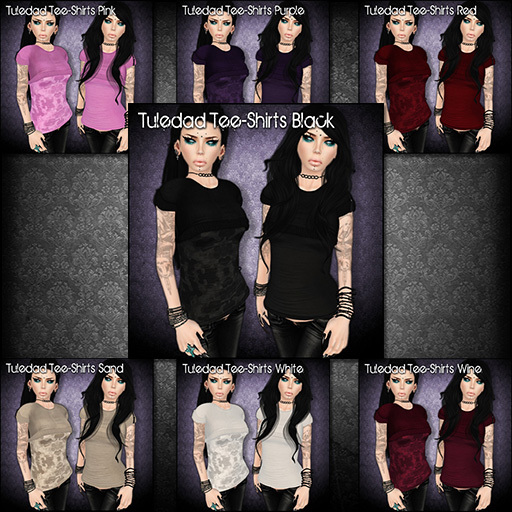 * Tuledad Tee-Shirt Khaki, Camo or Plain. XXS, XS, S, M, L sizes. * Appeal Boots Khaki, Plain or Camo heels. S, M, L sizes. * Lace Undersweater White, with Tango applier, Sculpted collar and cuffs. * MESH French Touch Skirt Black. XXS, XS, S, M, L sizes. * Sculpted Leather Pumps White.